This cute Snowman Paintbrush Ornament is very easy to make and will look cute either as a wall hanging or sitting front and center on your Christmas tree. I love to make easy Christmas crafts. Since I manage three blogs and my main site also features DIY and Craft in some form or other, time is at a premium for me. So, coming up with easy to make projects is a top priority of mine, especially this time of the year when so many people are interested in Christmas decorating. My husband and I have an ongoing “discussion” about Christmas decorations and who should take front and center stage. I vote for Santa and he loves snowmen. On a recent trip to my local Dollar Store to purchase craft supplies, I picked up a few paintbrushes. One of them will end up as a Snowman Paintbrush Ornament for hubbie and the other? You guessed it…will be soon to come as a Santa ornament for me. Snowman projects look great around the holidays but can also be left out on display in the winter months when the snow is all around us. Check out these snowman projects for more fun ideas. 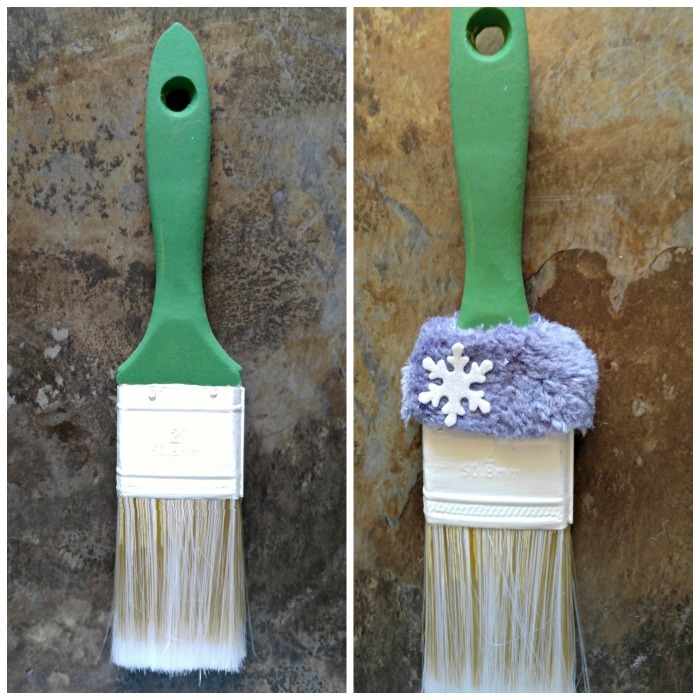 It’s time to make a Snowman Paintbrush Ornament. I started by painting the shank of th paintbrush with green craft paint and the metal part with white paint on both sides. Once this was dry, I cut a piece of the purple material and would it around the fat part of the paintbrush to form a neck scarf, and then added a glittery snowflake sticker to the material. Next, I attached the black ribbon to the top of the brush for a hanger. 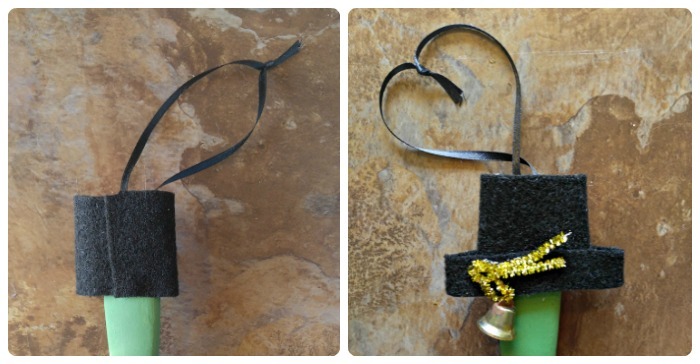 I made the hat with 2 pieces of black felt and then added a small cowbell and piece of tinsel gold pipe cleaner to decorate the hat. He is coming together nicely! 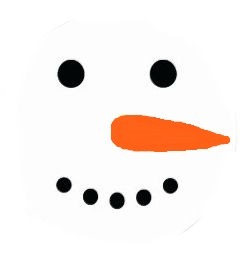 I painted a snowman face on the metal part of the brush. I did it free hand, but here is a template if you need one. All that was left to do was to add the three black pom poms on the bristles for his coal and my Snowman Paintbrush Ornament is done. Here he is, all decked out in his cold weather clothing and ready for winter. 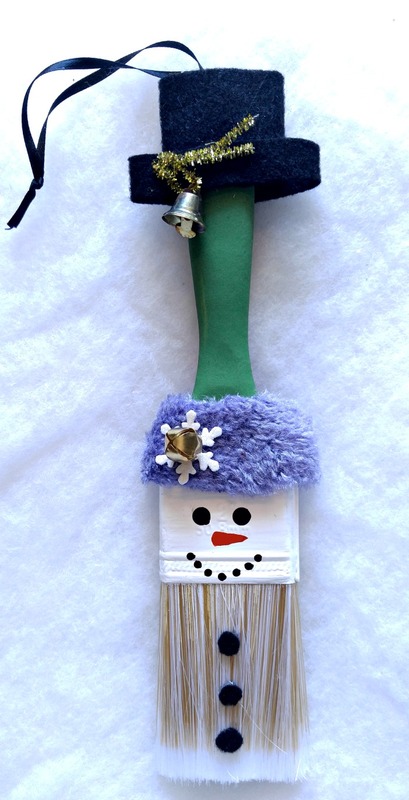 This adorable Snowman Paintbrush Ornament will be sure to become a favorite decoration year after year. Have you ever used a paintbrush in a craft project? What idea did you come up with?